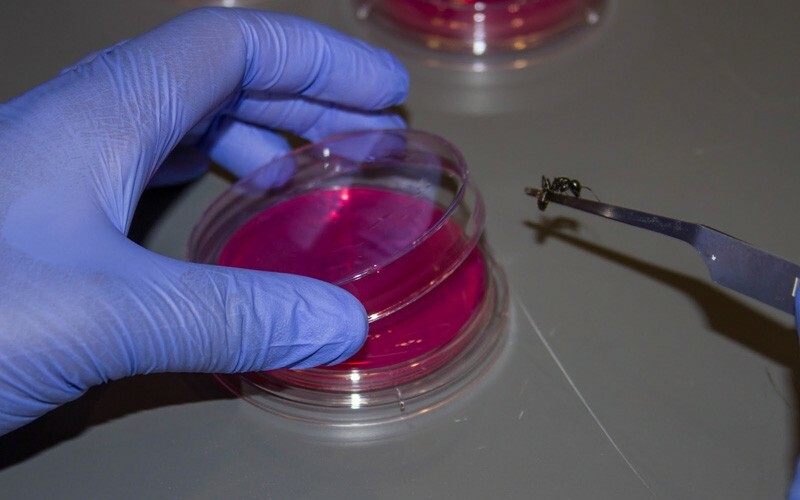 In this lesson, students will have an opportunity to isolate fungal morphospecies by plating ants on agar gel. 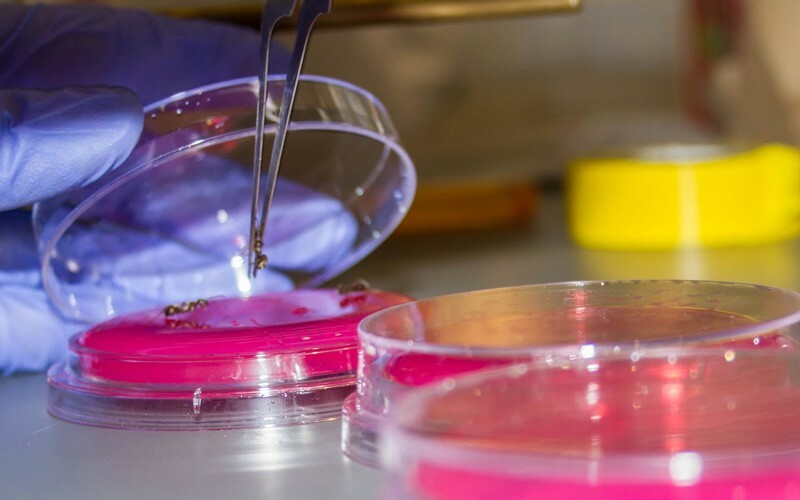 They will then be able to submit their findings to a scientist and connect their experience to a study of pathogens. Students will be able to identify and explain characteristics of fungi. 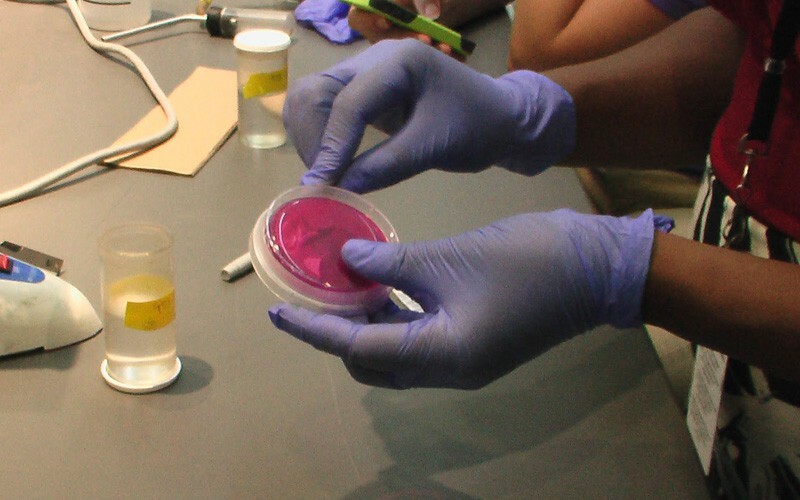 Students will be able to explain the differences between fungal pathogens and other types of pathogens. Students will be able to identify common soil fungi based on their appearance. View the Invisible Pathogens Project on iNaturalist. Follow these 10 steps to participate in the Invisible Pathogens project. 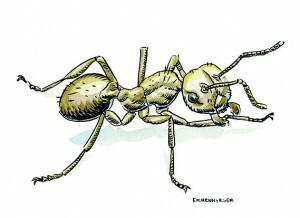 Obtain ants, ensuring that materials used to collect ants are sterile by wiping them down with ethanol. Make sure materials are completely dry (ethanol will kill ants). 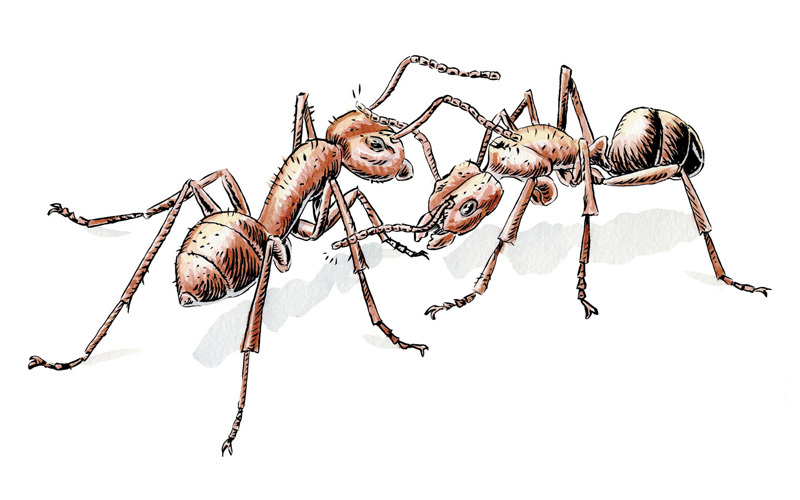 Collect ants from the same habitat, as ants in different habitats will carry different microbes. Note the type of habitat where you found your ants on the data sheet (forest, park, suburban, or urban). 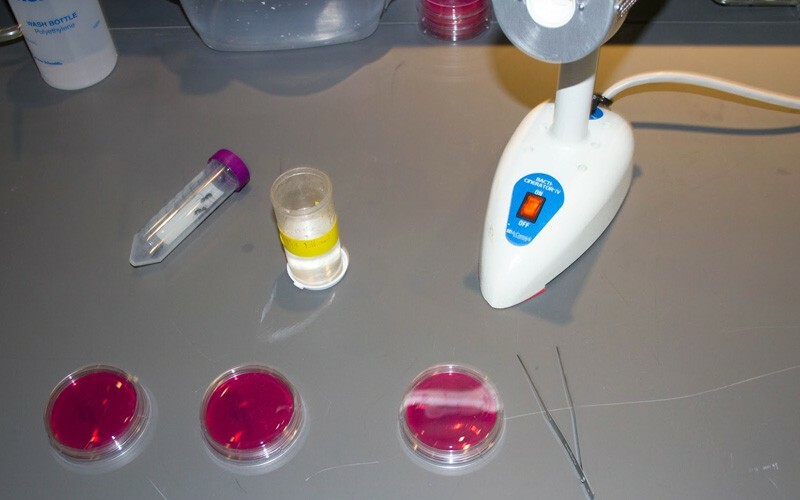 Sterilize the lab bench space, wear gloves, gather materials including agar plates, feather forceps, flame/heat source for sterilization between ants, and ethanol. Dip forceps in ethanol. Remove excess ethanol before adding to heat source, as ethanol is very flammable. Apply forceps to heat source for 10-15 seconds. Allow them to cool for another 10-15 seconds. 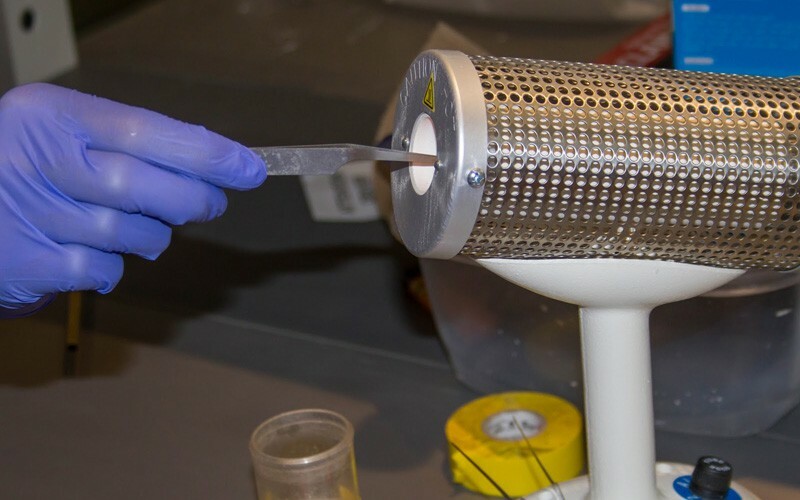 Without touching sterilized forceps to surrounding materials, remove an ant from collection container and place the ant on the plate. Be sure to keep agar covered whenever possible as microbes are everywhere and could contaminate the plate. Repeat sterilization process between each ant. Add up to three ants to each plate. Keep species separate (example: Tapinoma and Formica should have separate plates). A key for ant identification is available so that it’s possible to distinguish between species. 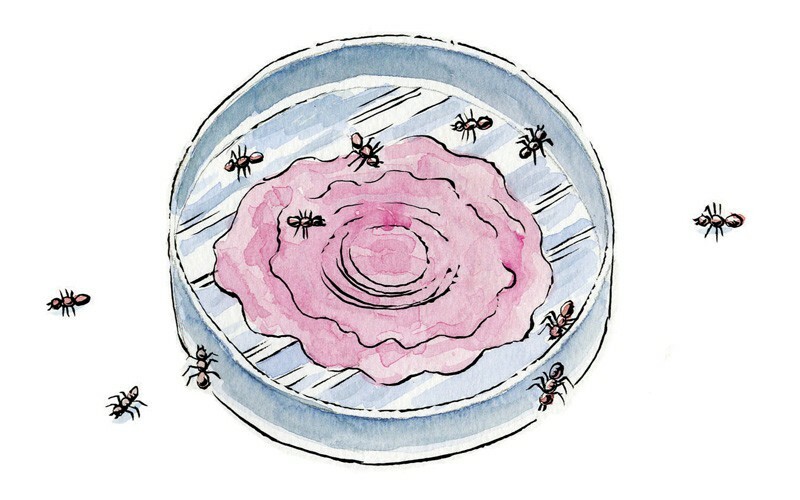 Allow ants to walk on the plate for 30 minutes without disturbing them. 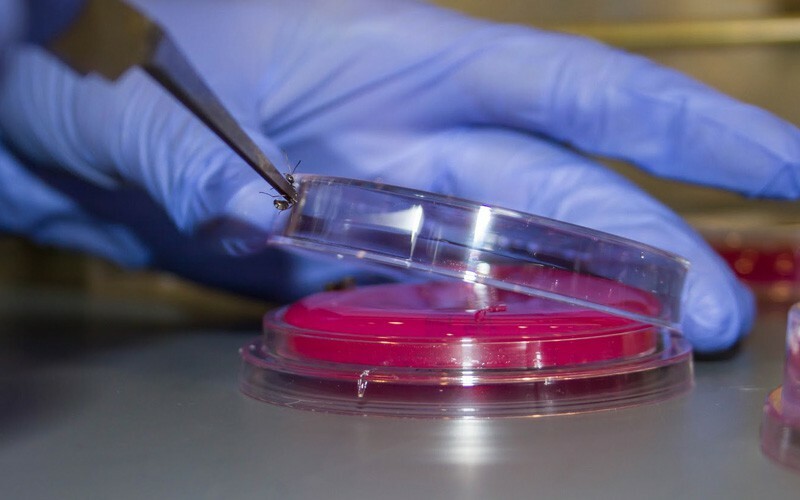 After 30 minutes, sterilize your forceps and carefully remove each ant from the agar. As before, the sterilization process should be done between each ant. Seal off plate using tape or another medium. 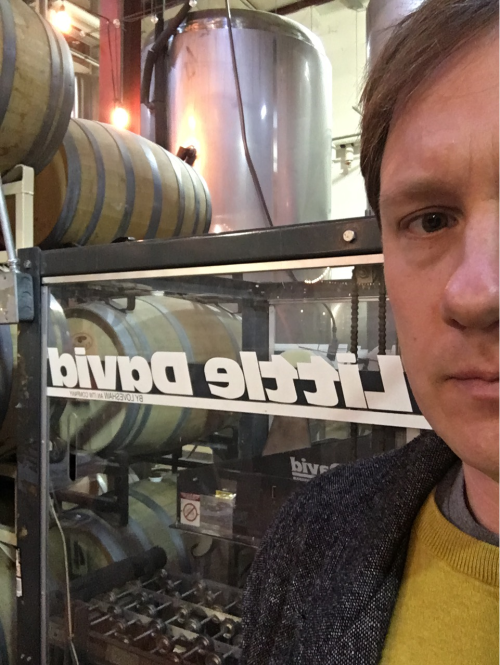 The plates should not be opened again after this point, except during the teacher’s disposal process. 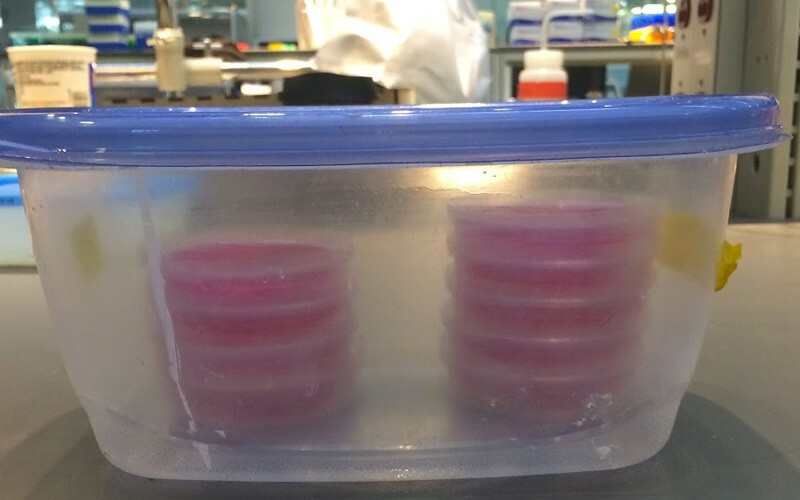 Place sealed plates into a larger container (incubator). This container could be tupperware, shoe box, a cardboard box, etc. Seal the incubator. Allow the incubator to sit undisturbed at room temperature in a dark place such as under your desk, in a drawer, or in a closet. Check plates over several days to observe growth of morphospecies. Fungal growth could take several days. After data has been collected, the teacher should dispose of plates using a 10% bleach solution. Using gloves, plates should be submerged in 10% bleach solution for 24 hours. Plates should only be opened while being submerged in the bleach. This will kill any dangerous microbes on the agar. After 24 hours, the plates can be disposed of in a trash can. Collection containers with wet cotton balls inside, a different container for every different ant colony. Do not mix species or ants found in different habitats. Each container should hold ants from the same location. 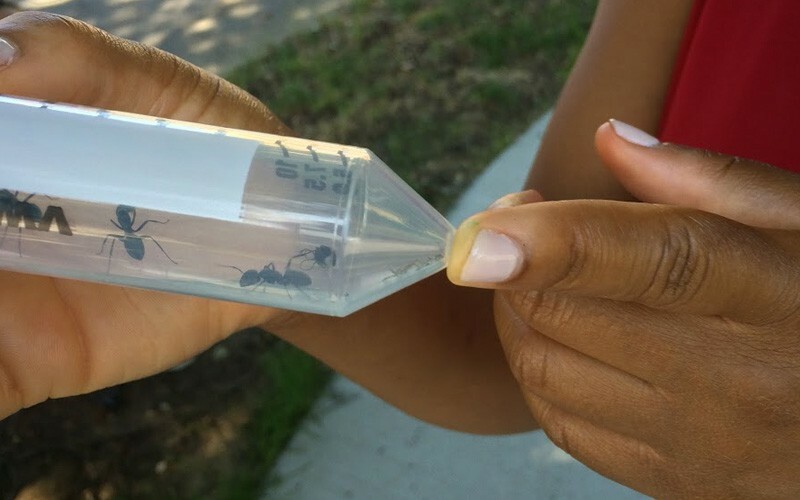 Ants live in communities just like we do but they don’t get sick as often as we do. Ants have ways of coping with harmful microbes (grooming, antimicrobial immune defenses, etc.) that may vary due to environmental changes associated with human activities. 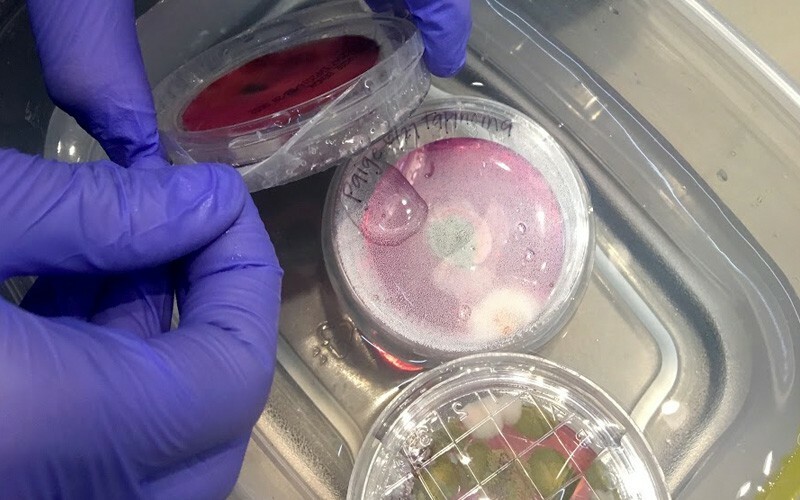 Fungal pathogens are also expected to change in response to environmental change, particularly changes associated with temperature and humidity. Pathogen interactions are key drivers of biological diversity and population structure. 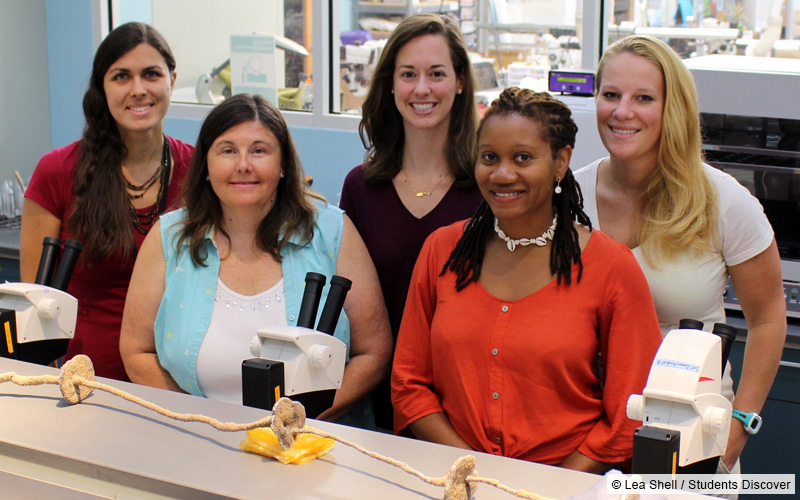 Understanding how ant-pathogen interactions vary will help researchers better understand how ant populations cope with disease under various and changing environmental conditions. A key step in modern ecology is understanding how pathogenic interactions will change across a rapidly changing environment. Pathogenic interactions are key drivers in population dynamics and biological diversity. Fungi in particular are sensitive to temperature and humidity and thus fungal pathogens may be particularly responsive to environmental change. It is important to understand fungi that cause disease in ants (entomopathogens) because ants play critical ecological roles as seed dispersers, scavengers and soil engineers. 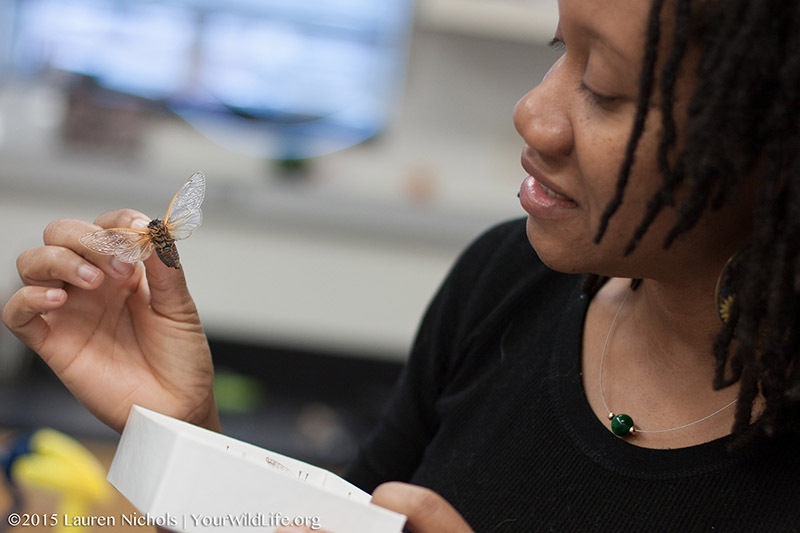 Additionally, monitoring the health of ants can serve as a measure of the quality of a given environment. 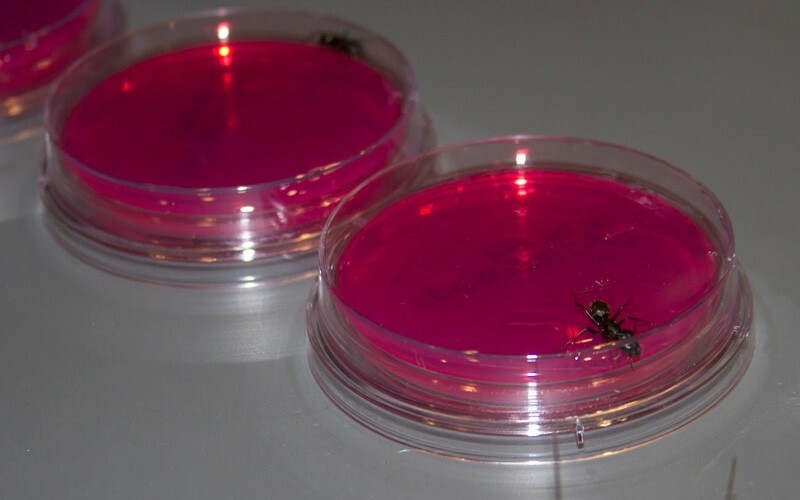 Ants collected across different habitats will be allowed to walk on Rose Bengal Agar to isolate the fungi associated with them. Researchers will then use molecular techniques to identify the diversity of soil-borne fungi. Like human-associated pathogens, we predict that fungal entomopathogen diversity will fall into specific biogeographic regions that reflect soil and temperature conditions. David Eichenberger is an illustrator living and working in Raleigh, North Carolina. David has a BFA from the Savannah College of Art & Design. 8.L.1 Understand the hazards caused by agents of diseases that affect living organisms. NC.M1.F-IF.6 Calculate and interpret the average rate of change over a specified interval for a function presented numerically, graphically, and/or symbolically.